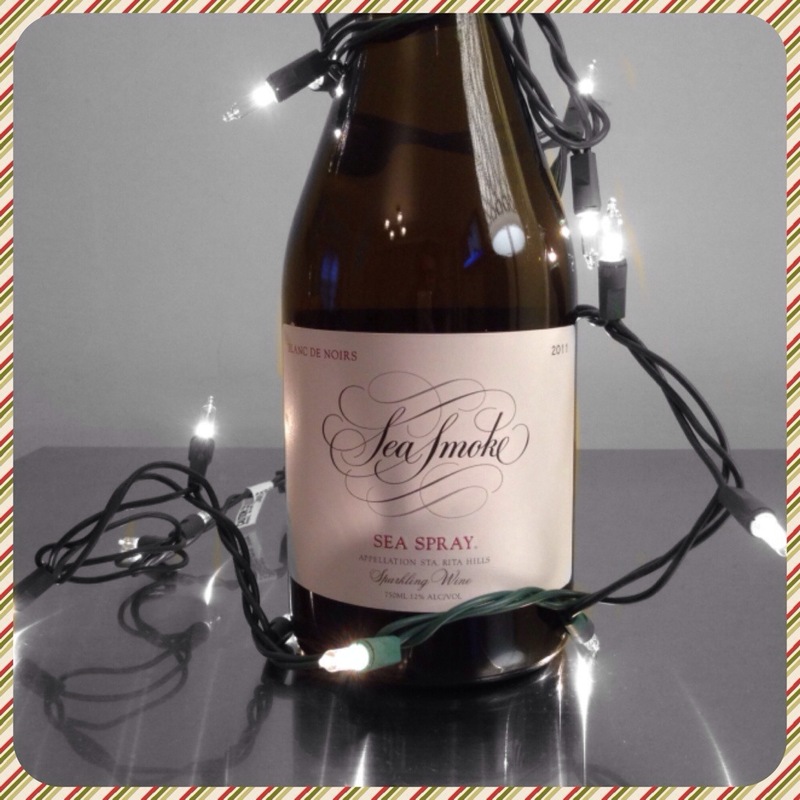 Kickin’ it domestic on the third day of Fizzmas, with this awwwwesome sparkling by Sea Smoke. You might remember Sea Smoke Pinot Noir from Sideways. They’re a killer Pinot Noir producer in Santa Barbara, in the Santa Rita Hills AVA to be exact. Well, they just came out with their 2011 bubbly called Sea Spray, made from 100% Pinot Noir (Miles wouldn’t have it any other way). And wine term for the day: when it’s made only from “black” grapes of the traditional Champagne trio (Pinot Noir, Pinot Meunier, and the only “white” grape Chardonnay) it’s called a Blanc de Noirs. Regular grapefriend readers know that cold! Anyway, this Sea Spray is SO GOOD – elegant bubbles, strawberry/cranberry flavors, and a beautiful salmon tinge. Totally delicate rosé sparkler, highly recommend. Suggested price is $80, but bubbly prices always vary wildly from seller to seller and it’s going for way more online here. Click on Fizzmas to see all the fizz and fun in the next 12 days! And let me know what your favorite bubbly is below. Tags: champagne, fizzmas, pinot noir, sea smoke, sideways, wine. Bookmark the permalink.